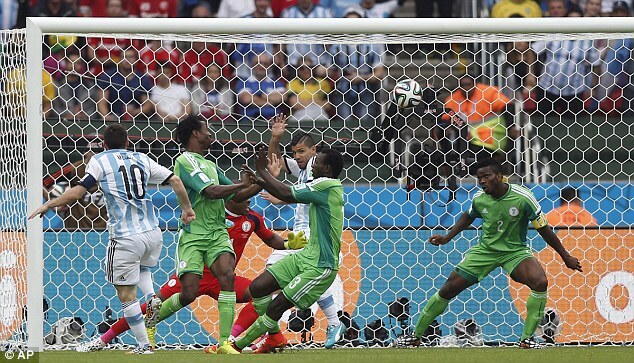 Nigeria will pay France in the round of 16 of Brazil 2014 world cup despite a 3-2 defeat in the hands of Group F leaders Argentina. 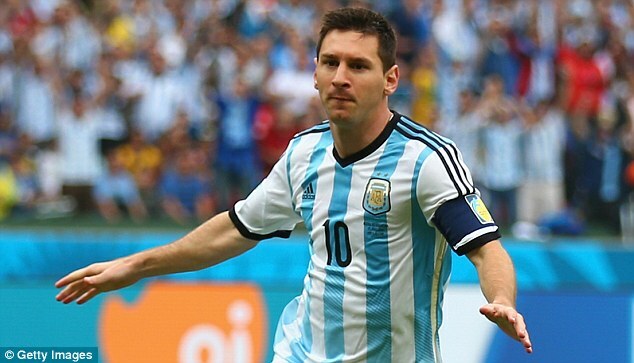 Inspired, no doubt, by a crowd dominated by the blue and white stripes of Argentina, Messi struck after just three minutes. 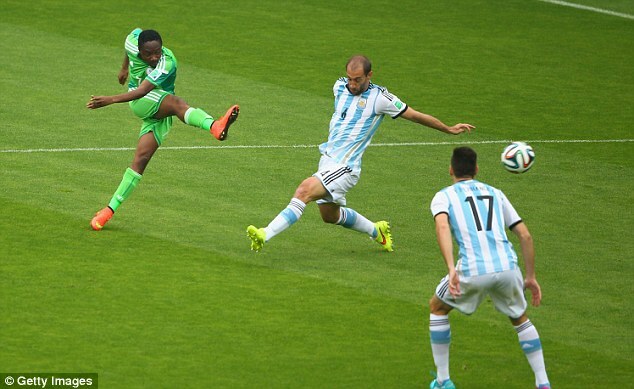 Racing onto a super pass from Fernando Gago, Di Maria unleashed a shot that hit the post and rebounded back against it after striking Vincent Enyeama on the back and then bounced into the path of the advancing Messi, who with his left foot simple drove the ball into the roof of the net. 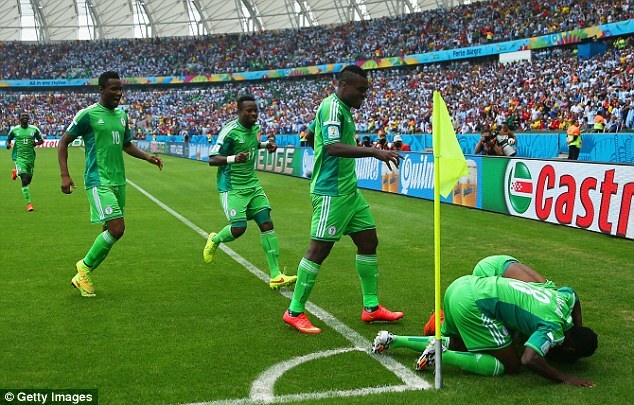 Nigeria, however, within 60 seconds, levelled to make this the first match in World Cup history to see both teams score inside the first five minutes. Midfielder Michael Babatunde, who sadly left the field in the second half with what looked like a fractured arm after being struck by a fast-moving ball, surged forward unopposed before feeding a pass into Ahmed Musa, who in turn would be allowed to take a couple of steps inside before curling a stunning shot beyond the reach of a diving Romero. The forwards on show continued to expose the fragility of both defences, but it was not until stoppage time in the first half that the next goal arrived. Messi, who moments earlier drew an exceptional free-kick save from Vincent Enyeama, this time struck his dead ball over the wall and beyond the reach of the Lille goalkeeper. It was the 27-year-old's fourth goal in three matches at Brazil 2014, having scored just once in his first eight World Cup appearances. Nigeria knew that Bosnia-Hercegovina had taken an early lead against Iran, but the Super Eagles did not rest on their laurels and were level within two minutes of the restart. 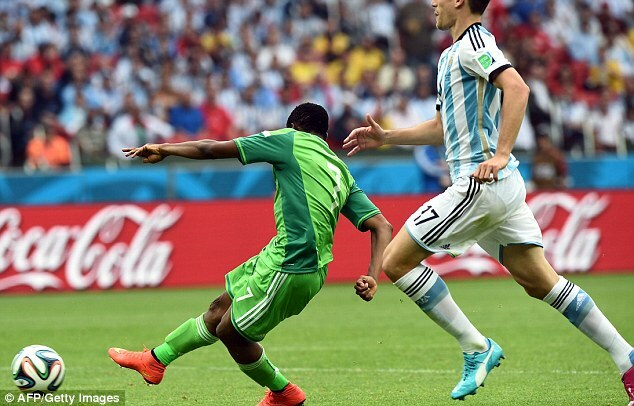 Musa scored a wonderfu goal, accelerating onto a perfectly weighted, defence-splitting pass from Emmanuel Emenike. Argentina’s defenders, in particular Federico Fernandez and Rojo are to be held responsible as they should have been more alert to the danger. Argentina, however, always seem to have an answer, their winner coming from a Ezequiel Lavezzi corner three minutes later. 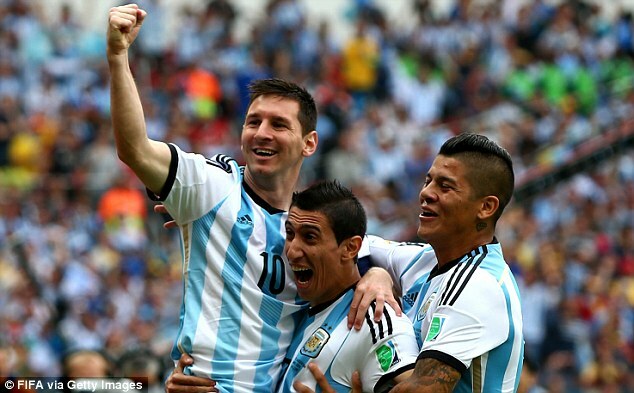 Ezequiel Garay got the flick on, with Rojo scoring off his thigh from close range. 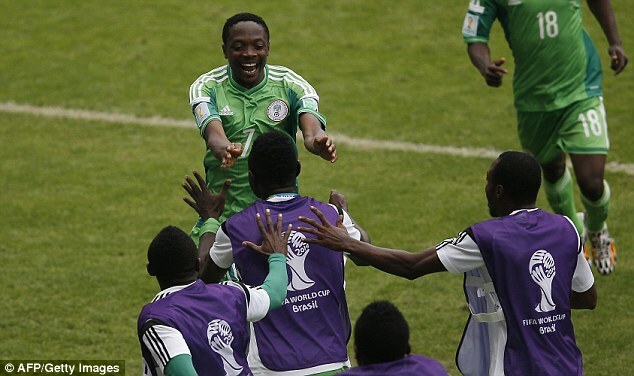 Musa almost hit back for Nigeria but Manchester City, Pablo Zabaleta denied the CSKA Moscow winger a well deserved hat-trick with a goalline block. 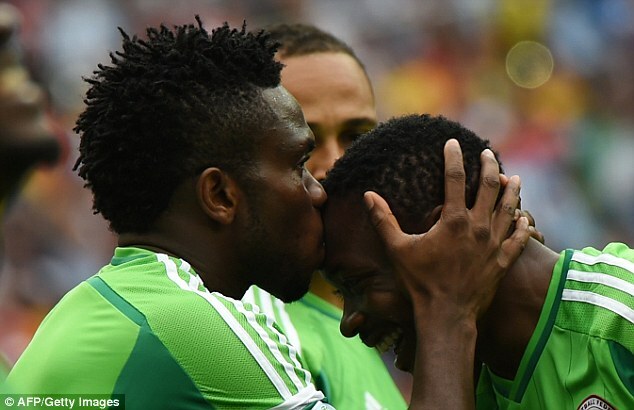 Super Eagles of Nigeria captain, Joseph Yobo, made history as he played his 100th match for Nigeria on the day that was Messi's birthday. The result means Argentina finish top of Group F with three wins from three games, while Nigeria qualify in second with four points after Iran failed to defeat Bosnia-Hercegovina. But both teams will surely need to tighten up if they are to advance to the latter stages of the competition, with neither teams likely to win any plaudits for their defending. Nigeria will face France in the last 16 in Brasilia next Monday, while Argentina take on Switzerland a day later in Sao Paulo.